Belgrade -- Minister of Health Tomica Milosavljevic said that the government in the coming weeks will bring to review decisions regarding the need for new vaccines against influenza. The Minister said that he ordered the Institute "Batut" and a special working group that within the next week, expert analysis include the first month of vaccination, with a prediction of further flow of vaccination and vaccine supply for the analysis of Serbia. "The decision of the Government must be based on the principle of protecting the population from A (H1N1) viruses, while taking into account the reality of the situation," said Minister of Health. He recalled that Serbia's decision to import three million doses of vaccine for 40 percent of the population, that vaccination against influenza began three weeks ago and is now vaccinated more than 124 000 citizens, which corresponds to the percentage of 1.66 percent of the population. "This percentage of the first three weeks of vaccination is relatively good compared to the vaccination coverage in countries around us" and "several times higher than in the environment and significantly higher than those of our experience with vaccination against seasonal influenza," said Minister. "However, this vaccination coverage is not sufficient if we want to effectively protect, and we, the pandemic," he said. Milosavljevic said that such a course of vaccination in Serbia was predictable because of the negative campaign in our and international media, which, he said, "reverse the attitude of the population in a way that is not good." "The best example that should be reputation in Europe is Sweden, which has succeeded in vaccinated between 60 and 70 percent of its population ... And, it is virtually protected from the A (H1N1) viruses and pandemic," he said. "If you now ask relatives of 16 people who are on respirators in hospitals, in intensive care, whether for or against vaccination, surely they would have no dilemma. Or, if you asked the relatives of those who completed the fatal flu their attitude would certainly be in favor of vaccination, "said Milosavljevic. 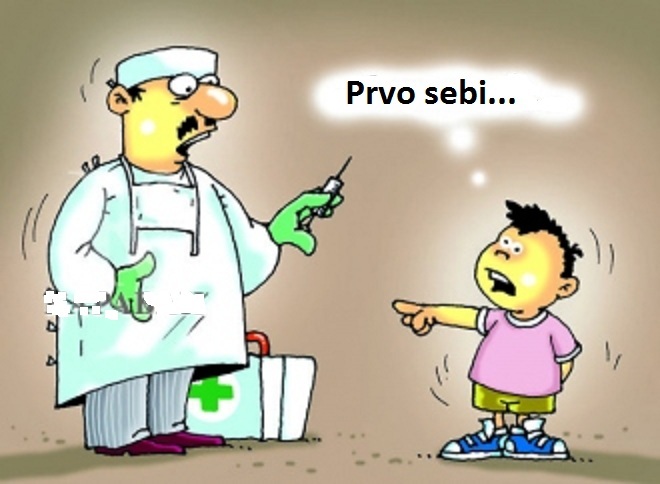 The director of the Republican Institute for Health Insurance Svetlana Vukajlović said of today's "policy" it is evident that vaccination does not run on schedule. Otherwise, the weak response to the new vaccinations against influenza virus A (H1N1) has become a global problem, and some countries such as France, Germany and the Netherlands have decided to sell surplus vaccine. So the French government told 94 million vaccines worth 869 million euros, and that so far, only five million people vaccinated. Although it was stipulated that every citizen vaccinated twice, soon turned out that there is a surplus of vaccine and began selling the purchased amount, and Qatar, and Egypt bought 2.3 million doses. Germany was told 50 million doses of vaccine against the new flu, and so far it has delivered 20 million. Since the ending with December, only six million doses utilized, she began to "fight" for the market in which to sell surplus vaccine. Ukraine has offered 2.2 million doses, while Moldova, Macedonia, Albania and Kosovo, along with Mongolia and the Maldives, asked Germany to be in the allocation of vaccine to help. U.S. Center for Disease Control and Prevention announced that the U.S. has not made a decision whether to cancel the ordered part of the new influenza vaccine, or to sell part of other countries, unlike some European countries that have concluded that a significant surplus of vaccine. Reference En Å uhat, Head of the National Center for Immunization and respiratory diseases at the CDC, the American interest in population for a new flu vaccine is stable and the U.S. government is currently concentrated on the fact that the vaccinated as possible citizens. Resist. Rebel. Cry out to all peoples and nations from the sky as the lightening flashes from the east to the west and judge the living and the dead.Or choose submission and slavery. Yesterday anti-vaccine lecture in Novi Sad, Serbia. F. WILLIAM ENGDAHL, one of the most prominent American intellectuals, last night in Novi Sad, gave a lecture in which he talked about the modern world geopolitical trends. This major intellectual, analyzed the events in Ukraine, Arab Spring, the perspective of a multipolar world and the chronology of the global economic crisis. Particularly interesting were his answers to questions about genetically modified food and vaccination. When it comes to vaccines, I am an extremist, and I believe that the vaccine should not be used - Endgal said, noting that this is the secret eugenics program that since the twenties of the last century, carried over the world's population. Research Louis Pasteur were false as evidenced by his legacy, which was embargoed hundred years, said Endgal, noting that today in the United States recommends vaccination of children who only a month old. On the platform at the Cultural Center of Novi Sad attendees were addressed by the President of the Fund Dignity Miroslav Ilic and Dr. Srdjan Trifkovic, foreign policy commentator American Chronicle magazine and professor at the Faculty of Political Sciences in Banja Luka, Republic of Srpska , BiH. Tonight on National television of Serbia (RTS), in very popular talk-show, topic will be vaccines and danger from them. Guests: 2:2 . 2 from Medical establishment and 2 journalists who are sceptic in case of vaccines. Serbian public win battle but war is long. In Belgrade,Serbia protest against forced vaccination of Serbian children. 11/9/ 2015. Poll in Serbia : Have you been vaccinated against the flu ? Vaccines are compromising in Serbia. The ombudsman Janković threatened the Serbian people that if parents do not allow the vaccination of their children will be fined. When parents pay a fine of $ 1,000 again should children be vaccinated and then if parents do not want the vaccine ombudsman says there is the possibility of took away children from their parents! Prof. Dr. Fajgelj was "warned" ombudsman Janković and the police on the orders of Serbian PM Vučić detained Prof. Dr. Fajgelj to "talk" and and during the night left at liberty. Three days away, "Civil initiative..." organized protest against forced vaccination of children and punishing parents. No media in Serbia did not report on this rally. First, a financially "There is a possibility of removal of children" as a statement Serbian ombudsman S. Jankovic.